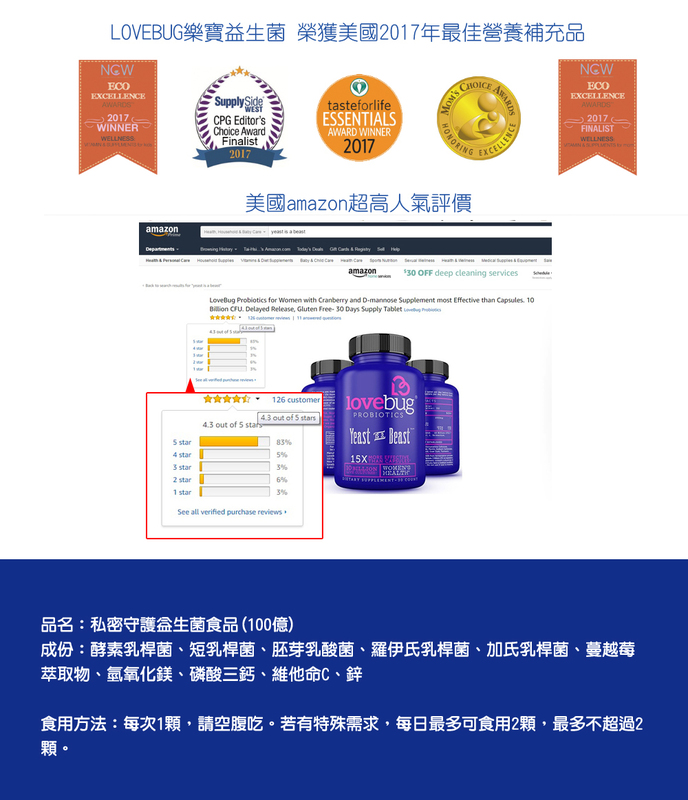 Contains (1) bottle, 30 tablets LoveBug Yeast is a Beast probiotic supplement for women's health. 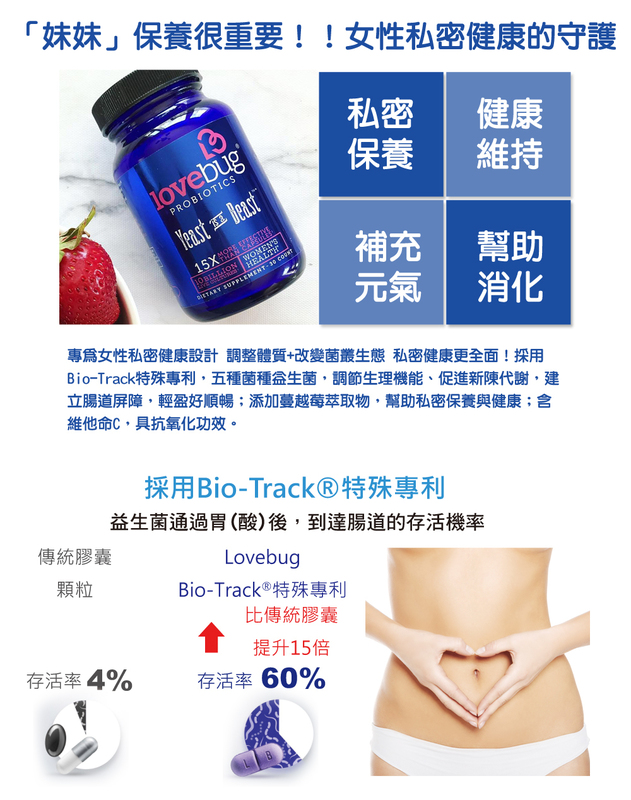 LoveBug's proprietary blend of probiotics is formulated to promote optimal urinary tract health and is enhanced with Cran-Gyn cranberry extract and D-mannose. Yeast is a Beast can also help streamline a woman’s digestive function, immune response and yeast levels. Use Yeast Is a Beast Probiotics as a daily supplement for relief from gas, bloating, constipation and other common gastrointestinal issues. LoveBug Probiotics Yeast is a Beast contains 5 strains specifically selected to support women's health. The novel Cran-Gyn™ (Cranberry Extract) additive helps prevent the growth of bad bacteria from taking hold; it contains cranberry extract and D-mannose. LoveBug's probiotics are designed for time release delivery so the benefits support you throughout the day. 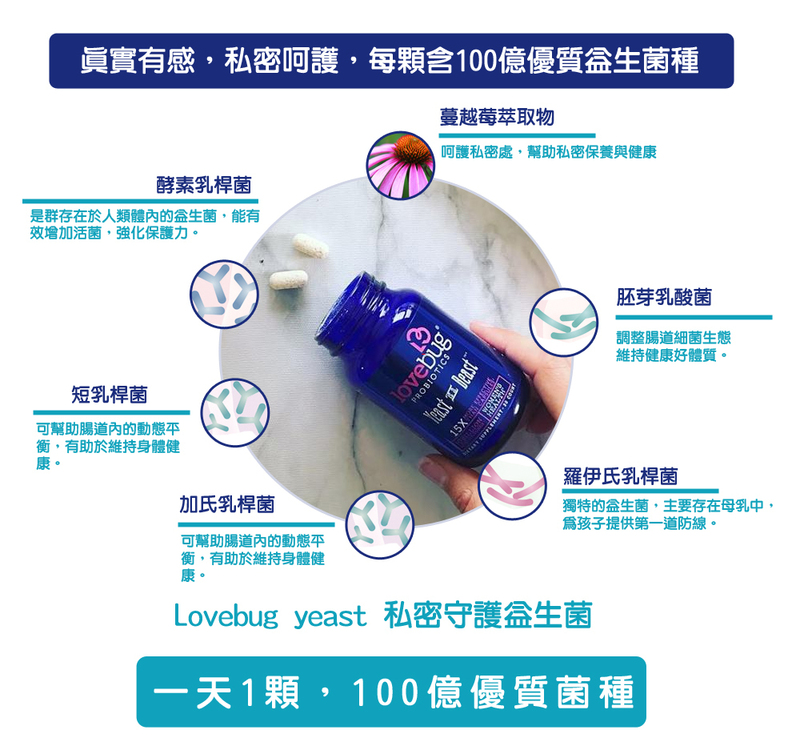 LoveBug’s Yeast is a Beast formula was specifically formulated to promote healthy yeast levels in women. Gluten-free, non-GMO, and no allergens.